The NVIDIA Shield TV is a powerful and portable Android TV box that's a breeze to set up and use. Simply connect the Shield to any TV in your home and you've got near endless streaming and gaming options at your fingertips. One great feature that is often overlooked is the Shield TV's ability to pair with Bluetooth speakers, allowing you to bypass your TV's audio entirely. Instead of investing in an expensive home theater system, you can spend a lot less on a pair of high-quality Bluetooth speakers that you can also use with your phone and most other Bluetooth-enabled devices around your home. My top recommendation would have to be the Edifier R1700BT Bluetooth bookshelf speakers ($150) which look and sound great and have been paired to my NVIDIA Shield TV Pro for months with no issues. Given the vast variety of Bluetooth speaker styles available, we've broken out some other great options for you to consider as well. For a more permanent solution that's perfect for any dorm or living room, consider these great bookshelf speakers from Edifier. With support for simultaneous wired and Bluetooth connections, this is a great value for speakers that look and sound so good. For a wallet-friendly speaker set, we recommend the Logitech Z337 set that includes a subwoofer, two satellite speakers, and a wired control pod that includes controls for volume and Bluetooth pairing. Unlike the more portable options lower down on this list, this is an ideal set of speakers for your living room or bedroom that include 3.5mm and RCA inputs for wired connections. I was blown away testing the Solo E500X-EQ for its fantastic sound quality and portable design. This is a speaker that continually impresses anyone who hears it. You're able to plug it into the wall for prolonged use at home, and then unplug and relocate it anywhere in your home, or take it outside or anywhere with you. For the price, it better be one of the best speakers you can buy and in my opinion, it absolutely is. Bose makes legendary speakers, and its latest and greatest portable creation is the SoundLink Revolve. Featuring a very familiar smart home speaker design with a rechargeable lithium-ion battery that delivers up to 12 hours of room-filling sound, you can bring this powerful speaker throughout your home and then return it to the charging cradle. You can also pair two Revolves together for even better surround sound. The UE Boom 2 is one of the most popular portable Bluetooth speakers you can buy. It's received glowing reviews from tech reviewers and users alike. If you want a great sounding speaker that you can pair with your NVIDIA Shield TV at home or take with you on any of your adventures, this is a great choice. Anker has delivered a surprisingly great line of SoundCore speakers, and the SoundCore Boost is a top pick for it's enhanced base and ease of use. This is a great option to pair with the Shield for its portability and impressive sound quality. Pairing Bluetooth speakers to your NVIDIA Shield TV is a great option if you're looking for a quick way to greatly improve your audio experience for streaming Netflix movies and gaming. 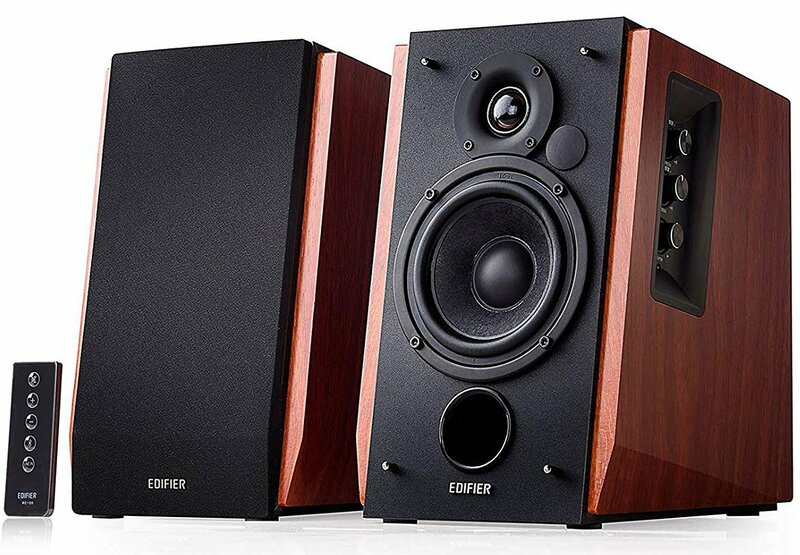 I recommend the Edifier R1700BT Bookshelf Speakers ($150) which offer outstanding quality and value for the price. The NVIDIA Shield TV Pro, with its 500GB of internal storage, is particularly great for use with Plex and when loaded up with a ton of great content it's a breeze to pack up and take your Shield with you wherever you go. 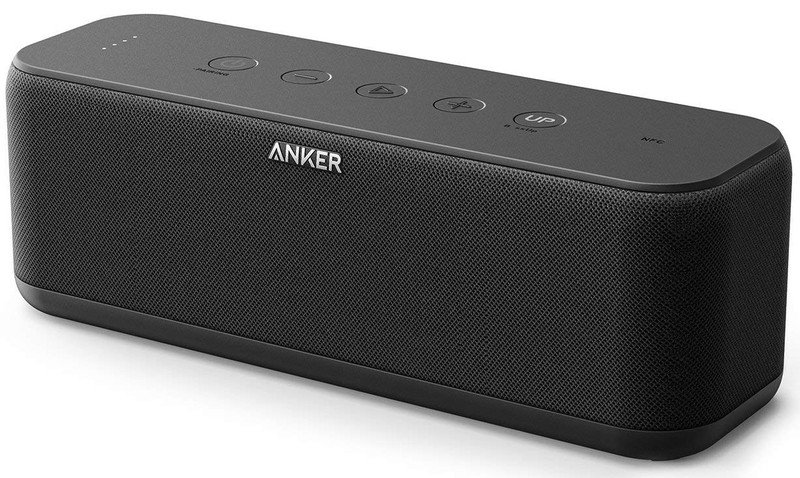 With a portable speaker like the Anker SoundCore Boost ($80), you can always enjoy great audio on the go! Marc Lagace is the Apps and Games Editor at Android Central. He's been a gamer for most of his life and actually took a university course on Video Game Theory — which he aced! You can reach out to him on Twitter @spacelagace.